A closer look at Kosovo’s latest political predicament. For the past five years, talk of an ‘Association’ or ‘Community’ of Serb Majority Municipalities has been one of the most contentious political topics in Kosovo. Agreed to in 2013 by both Prishtina and Belgrade as part of the EU-facilitated Brussels dialogue process to ‘normalize’ relations between the two neighbors, it has caused fiercely contested debate, protests and subsequent arrests. After a relative lull in relation to the issue, recent weeks have seen it firmly placed back at the top of the political and media agenda. On March 23, following a meeting with the presidents of Kosovo and Serbia, the EU High Representative for Foreign Affairs and Security Policy, Federica Mogherini, said there was an “urgent need” to start with the establishment of the Association. Three days later, Kosovo President Hashim Thaçi met with President of the Kosovo Assembly Kadri Veseli and Prime Minister Ramush Haradinaj, and announced the establishment of “a wide institutional Working Group,” which would contribute to drafting the statute that defines the Association — a key step toward its formation. Until the statute is completed, the exact nature of the Association will not be known for sure. The same day, the head of Serbia’s delegation in the dialogue, Marko Đurić, was arrested and deported from Kosovo. The events surrounding this incident led to Kosovar Serb party, Lista Srpska, quitting the coalition government and issuing an ultimatum regarding the Association. It announced to the Kosovo government and ‘Western states’ that if the Association was not formed by April 20, Kosovar Serbs would move unilaterally to form it themselves. The following week, on April 4, Kosovo’s prime minister, Ramush Haradinaj, announced that he had “reactivated the management team” that would draft the Association’s statute. This was followed the next day (April 5) by a European External Action Service (EEAS) statement, which said that the drafting of the statute was underway and would be completed within 4 months. Until the statute is completed, the exact nature of the Association will not be known for sure. But with the issue likely to be a recurrent theme in Kosovar politics, K2.0 takes a closer look and sets out what is known to date and why it has become such a complicated and controversial issue. What is known for sure about the Association at this point? It is intended to initially comprise 10 Kosovo municipalities with significant Serb populations. Participating municipalities within the Association are foreseen to be able to “cooperate and participate in the exercising of their powers collectively,” as per the European Charter of Local Self Government and existing Kosovo law. Beyond that, there seems to be little agreement and the details get a little hazy. But isn’t it all set out in the Brussels Agreement? Essentially, while the first six of the 15 bullet points in the Brussels Agreement all related to the Association, the language used in relation to its powers meant it could be interpreted in various ways. So what further details have been provided since? 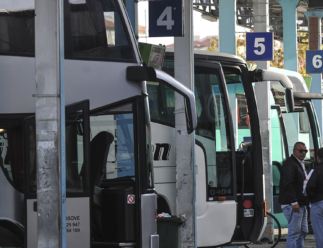 Numerous delays meant that by early 2015, many aspects of the Brussels Agreement were still unimplemented, including any progress on the Association. With Serbia frustrated at delays in opening up EU accession negotiations, and progress in the establishment of the Association being a prerequisite, further talks were set up in Brussels. Their focus was on an agreement upon a telephone country code for Kosovo, the removal of obstacles by Serbia concerning the implementation of an agreement on energy, the removal of the barricade from the bridge over the River Ibar in Mitrovica, and, of course, the Association. After only two rounds of negotiations, some ‘General Principles/Main Elements’ for establishing the Association were agreed upon in August 2015, a document unforeseen by the original Brussels Agreement. It provided five pages of detail, tackling six areas surrounding the formation of the Association, giving guidance on its legal framework and capacities, its objectives, organizational structure and relations with central authorities, as well as on issues of budget and support. Not really. Both the Serbian and Kosovar delegations in Brussels hailed the agreement on the General Principles as a success, although seemingly had wildly different interpretations of its content. The 10 municipalities that will make up the Association are: North Mitrovica, Zubin Potok, Leposavic, Zvecan, Strpce, Klokot, Gracanica, Novo Brdo, Ranilug and Partes. What about Serbs in Kosovo? How do they feel about the Association and its powers? Despite being one of the groups most affected by the Association, Kosovar Serb voices have rarely been heard regarding the Association, as the discussions have taken place at a high political level between Prishtina and Belgrade. After the Brussels Agreement was signed in 2013, there were protests in the north of Kosovo as steps were taken toward its implementation. Speaking at the protest, then Mayor of Zubin Potok, Slaviša Ristić said that “the main goal of the rally is to show that Kosovo is not for sale or to be handed over.” He went on to describe those representing Serbia in Brussels, then Prime Minister Ivica Dačić and his deputy at the time, Aleksandar Vučić, as “traitors,” due to unpopular deals that they were making in the name of Kosovo’s Serbs. The research also highlights that there is a high degree of skepticism amongst Kosovo’s Serb community that the Association will end up with any significant powers. Those powers… what did the General Principles have to say about them? However, things are complicated by the presence of four points that built on the 2013 Brussels Agreement and state the areas in which the Association will “exercise full overview,” specifically over the areas of local economic development, education, local primary and secondary health and social care, and the coordination of urban and rural planning. ‘Exercise full overview’ — what does that mean? Exactly — this phrase seems to be key. The change of the verb from ‘have’ full overview in 2013 to ‘exercise’ full overview in 2015 helped reinforce these fears. Understanding this phrase will identify the relationship between the Association and its participating municipalities, which has been left as yet undefined in all agreements relating to the Association, despite its crucial importance. Part of the differing interpretations also seem to come from differing translations of the English text (the version that was initialled by the two parties), although the extent to which these are being deliberately misinterpreted by politicians is open to debate. The report also highlights that understanding this phrase will identify the relationship between the Association and its participating municipalities, which has been left as yet undefined in all agreements relating to the Association, despite its crucial importance. Is there any other guidance as to the meaning? There has been opposition to the Association in Kosovo ever since the Brussels Agreement was made back in 2013. When the Agreement was ratified at the Kosovo Assembly, the session saw large protests by opposition party Vetëvendosje, with 300 protesters encircling the building and around 30 estimated arrests as both activists and the party’s deputies attempted to halt the ratification. Vetëvendosje raised a wide range of concerns, including claiming that the creation of an Association with ‘full overview’ over key areas of governance would create an autonomous Serb region within Kosovo that would cripple the young country’s sovereignty and cement ethnic partition. They also objected to the point in the agreement that stated that there would be a Regional Police Commander for the four Serb-majority communities in the north of Kosovo — appointed by a list of candidates nominated by the Association — who would specifically be a Kosovo Serb. Arguments were put forward that the Agreement was counter to Kosovo’s Constitution, a document that specifically made provisions for Kosovo’s Serbs and other minority communities. The party asked for the Agreement to be reviewed by the Constitutional Court. So this is when the Constitutional Court became involved? No, the Court rejected Vetëvendosje’s request. 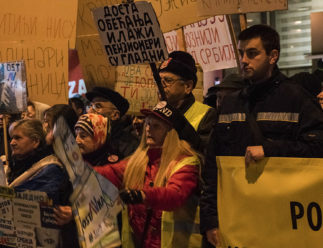 However, after the Guiding Principles became available to the public in 2015, even larger protests broke out, with Vetëvendosje joined by then opposition parties AAK and NISMA at their head. Faced with a political crisis, then President Atifete Jahjaga sent the Guiding Principles to be reviewed by the Constitutional Court, to assess their compatibility “with the spirit of the Constitution” a request that was accepted. OK, so what do they say ‘exercise full overview’ means? The court’s decision describes the term as “unclear.” It recommends that the wording used in the statute has to be in compliance with the wording in the Brussels Agreement — “have full overview,” which the court defines as “being informed.” This interpretation would suggest that the Association will not have executive powers. Was that the only issue the court thought needed clearing up? No, the court found that every chapter of the Guiding Principles did not entirely meet constitutional standards, particularly in terms of budget, its relations with central authorities in Kosovo and its organizational structure. That’s a lot of problems raised! Let’s start with the budget. How do the guiding principles suggest the Association will be funded? The Guiding Principles state the Association will have its own budget, which will be subject to Kosovo’s principles of accountability and transparency and subject to audits by the relevant Kosovar authorities, including the General Auditor. This budget is foreseen to be able to be made up from four sources: contributions from its members; income and revenue from the services provided; transfers from the central authorities; contributions and financial support from other organizations and associations, domestic and international as well as from the Republic of Serbia. And what did the Constitutional Court object to? The Constitutional Court objected to the third point regarding transfers from central authorities, stating that under the Kosovo Constitution, only municipalities are entitled to such funding sources. There is also disagreement on the issue of Serbia’s ability to fund the association — although this was not specifically raised by the Constitutional Court. While some see it as another source of income for the Kosovar state to help provide for its citizens, others suggest it will lead to further Serbian influence in Kosovar affairs. What about the Association’s relation with central authorities? There are six points in the Guiding Principles that outline the Association’s relationship with central authorities in Kosovo. In regard to specific duties, it is stated that the Association will promote the interests of the Kosovar Serb community in its relationship with Kosovo’s central authorities. The Constitutional Court highlighted this as being problematic, stating the Association cannot take on full and exclusive authority over this matter, as it would limit Serbs from outside of the 10 municipalities covered by the Association. And how about the Association’s internal structures? In regard to its organizational structure, the Guiding Principles flesh out the idea from the Brussels Agreement that the Association’s structure will be based on the Kosovo Association of Municipalities. It states that, as with the Kosovo Association of Municipalities, the Association will similarly have an Assembly made up of representatives appointed by the assemblies of the participating municipalities. It will also have a president and vice president (elected by its Assembly), a council and a board. So did the Constitutional Court take issue with this structure? No, that wasn’t the issue. What both NGOs in Kosovo and the Constitutional Court in their 2015 judgement have highlighted is that the multi-ethnic principle that underpins the Kosovo Constitution is seemingly ignored in the Guiding Principles, as there appears to be no mechanism to ensure the representation of non-Serbs living in these municipalities within the Association. 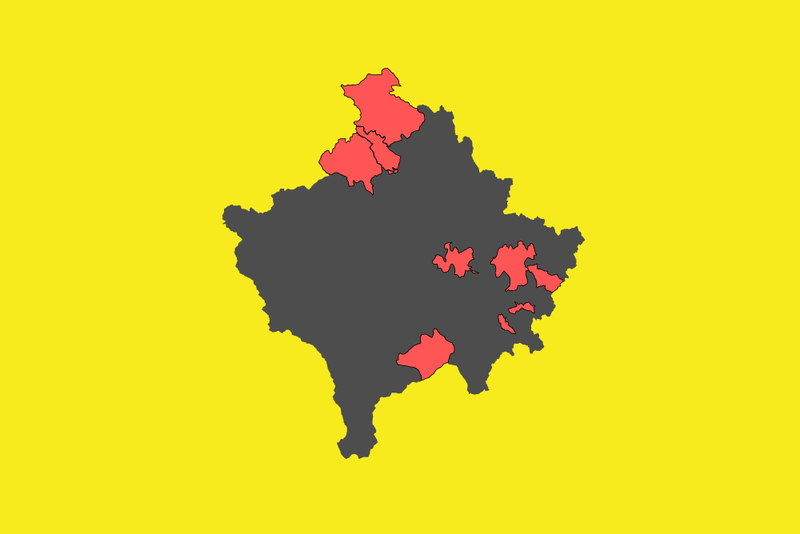 All the municipalities covered contain non-Serb residents, whilst three municipalities were indicated by the 2011 Census (which was boycotted by many Kosovo Serbs) to have an Albanian majority. Spokesperson for the European External Action Service Maja Kocijancic also said that the Association would be formed in line with Kosovo law. Do all these objections mean that the court was against the Association being established? No, the opposite. The court’s decision declared that the Association was to be established as provided by the 2013 Brussels Agreement, due to it having being ratified by the Kosovo Assembly. But the Guiding Principles are no longer so guiding… so how will the statute be written — according to the agreements, or to the Constitutional Court’s recommendations? This is the current battleground that arguments over the Association are taking place on. Kosovo’s leaders insist that the Association will be established according to the Constitutional Court ruling, and this seems to be backed up by the EU. Speaking to Serbian news agency Tanjug earlier this month, spokesperson for the European External Action Service Maja Kocijancic also said that the Association would be formed in line with Kosovo law. It is a statement that has upset representatives in Belgrade, with Marko Đurić questioning how the court was entitled to unilaterally annul provisions and principles from the Brussels Agreement. Vučić meanwhile, labelled the statement “a surprise,” and claimed that the EU were no longer ‘status neutral’ if they considered the Kosovo Constitution of utmost importance. OK, so once the statute is drafted (either with or without the recommendations), what happens after that? The statute will be presented to the high-level dialogue between Kosovo and Serbia in Brussels for approval. If approved, it will be adopted by a decree of the Kosovo Government, which the General Principles sets out will be reviewed by the Constitutional Court. And then it will be presented to the Kosovo Assembly? No, with the ratification of the Brussels Agreement, the Assembly’s role is considered finished in terms of the establishment of the Association, a decision that has been criticized by both Kosovar NGOs and the political opposition. Once the decree is approved it will be adopted by a constituent assembly of representatives from participating municipalities. According to the 2013 Brussels Agreement, the Association can only be dissolved by a decision of the municipalities that make it up. Earlier this month, the European External Action Service set a deadline of four months to write the Statute, which would take us up to August before the next steps highlighted above are set in motion, all of which could be drawn out. Feature image: Besnik Bajrami / K2.0. ABOUT THE AUTHOR Jack Robinson is a freelance journalist and a former senior editor at K2.0 (2017-18). He mainly covers the fields of culture and sport.